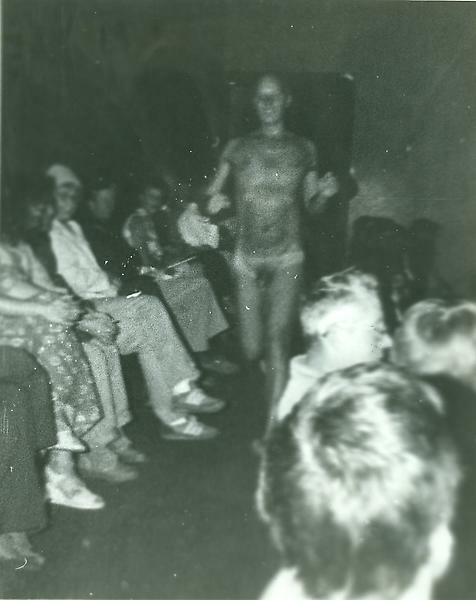 Ray Johnson running naked down the aisles as he is introduced during the opening of an exhibition of his work at the Walker Art Center in 1979. This act was a reference to another Ray Johnson, who had streaked at the Vatican and who Johnson had met previously at the Wadsworth Antheneum. Photographer unknown.